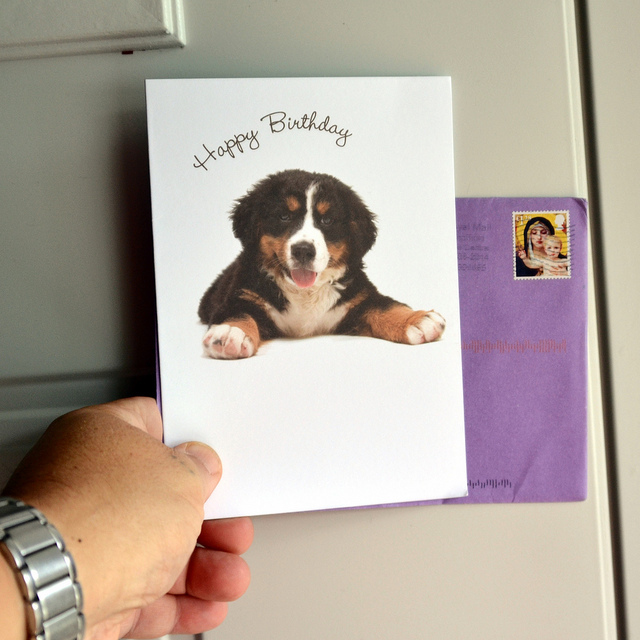 We all know how buying birthday cards online works: you find a nice website, get the cards shipped, tuck some money in, and you’re off to the races. It’s nice how easy it is… and that’s why so many people do it. This year, why don’t you try to stand out from the crowd? Instead of predictable old presents, replace birthday money with these fun alternatives. We all have embarrassing pictures floating around, and birthdays can be a perfect time to let them loose. Imagine opening a card, expecting–yawn!–just another nice little note and modest cash donation… and being greeted with your own, most likely absurdly goofy, face. Reactions to this act are, as might be expected, priceless. If the person is expecting money, it can be a good laugh to give them a coupon for something that they would never buy. For bonus points, use expired coupons, or even an IOU for some pitiful amount. Ideally you’ll then surprise them by actually giving them the cash they were expecting, but that part’s up to you. Finally, never underestimate the power of nothing. Particularly if you end up buying cards with pockets for money, recipients will be both surprised and confused when you leave nothing in it at all. This joke works best with someone you already know who you have a pretty strong suspicion will react with incredulity: you want a “did you forget something?” reaction, not a polite acknowledgement of the nice card. When you pull it off though, the mysteriously empty card can be a great way to catch someone off guard and give them a good chuckle at the same time.